Outdoor lighting can include numerous options, such as gas lamps or torches. Now that warmer days and nights are on the way, entertaining activities are making their way outside. 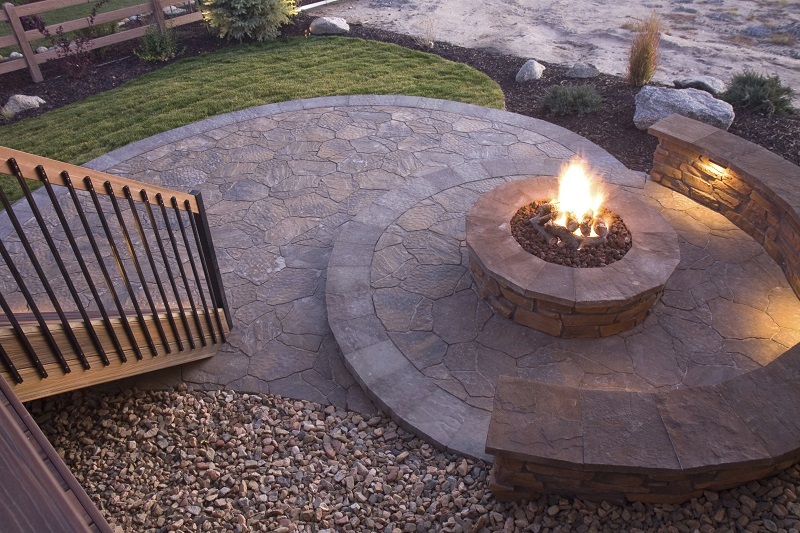 If you love outdoor entertaining, gas lamps and torches are a crucial part of your outdoor landscape. 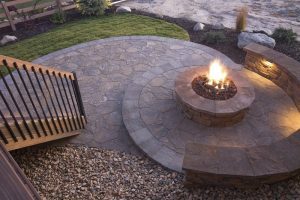 If you’re ready for new landscape lighting, here’s what you need to know about gas lamps and torches for your outdoor entertaining needs. Tiki torches offer a fun tropical vibe to your backyard, and their low maintenance needs are perfect for people who don’t like spending much time fussing with their landscape lighting. Tiki torches can be clustered together for a glowing effect or spaced out along pathways and walkways to help yourself find your way in the dark. Do you have a pool in your backyard? Tiki torches are a perfect match and can also help keep bugs away late at night. Ready to light up the night? Tiki torches only need a match or lighter to stay lit all night long and provide you with a beautiful and bright warming glow. Keep tiki torches away from anything flammable and make sure that the bases are secure to avoid any accidents. Gas lamps are a flexible landscape lighting option for homeowners that love entertaining outdoors but don’t want the intense heat of tiki torches bearing down on their party. Gas lamps add a lot of drama to entrances, pathways, or the dining area you have outside. They can be mounted or placed many different places in your yard depending on your layout. Aqua Bright can help guide you through the process of choosing the perfect model for your backyard and installing it safely. Instead of worrying about carting around matches or lighters, gas lamps can be turned on with the flick of a switch or the turn of a knob. Gas lamps do have additional safety requirements, due to their use of natural gas, so plan on installing them at least 12 inches away from anything flammable or combustible. Whatever the cause of your outdoor entertaining landscape lighting woes, the professionals at Aqua Bright can help you come up with a solution. For a consultation and to hear what we can do for you, give us a call at (410) 489-9009 or visit us online. For more information on the many irrigation and illumination services we offer, follow us on Facebook, Twitter, LinkedIn, Google+, Houzz, YouTube, and Pinterest. This entry was posted on Monday, April 3rd, 2017	at 4:27 pm	. You can follow any responses to this entry through the RSS 2.0	feed. Both comments and pings are currently closed.